When a user creates a meeting request . 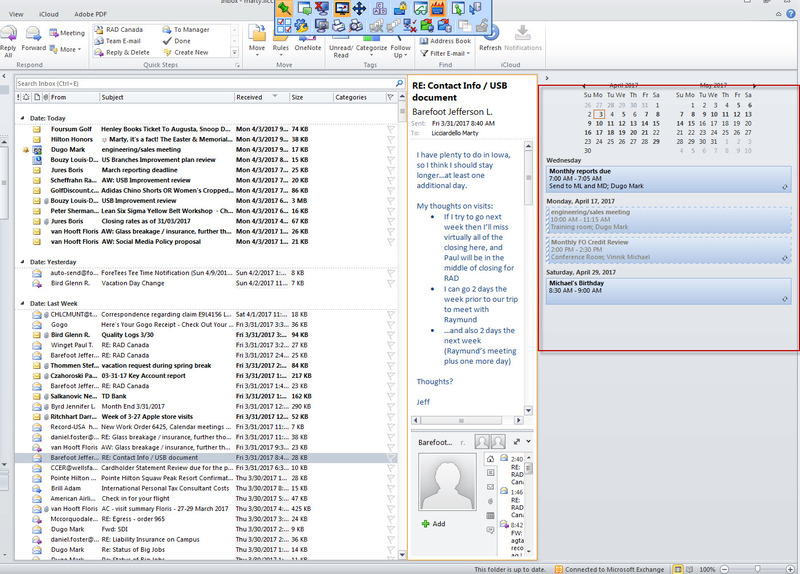 the meeting request is not showing up in the outlook view window I have attached screen shoot. I have uploaded a screen shoot with the are in question inside of the red square. Do you have one calendar or more ? 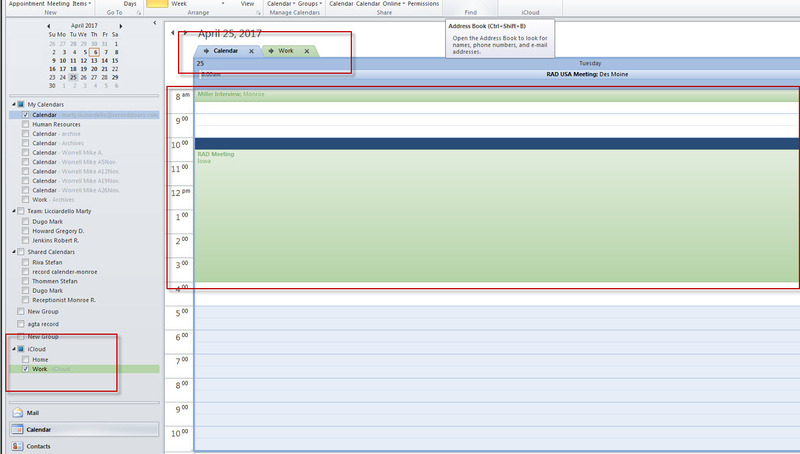 If you right click under calendar on the right and go to options, Do you have selected both fields in Show Appointments ? You have to be more specific I don't see calendar on the right. I don't see the word calendar or the calendar that is displayed. I am confused where to go see these options. I looked at the users outlook calendar again, and he is using icloud. It looks as though he added events to his icloud calendar in the past , but it did sync with outlook. I sent screen shoots for you to view. I was wondering do you know how to get the syncing working again. 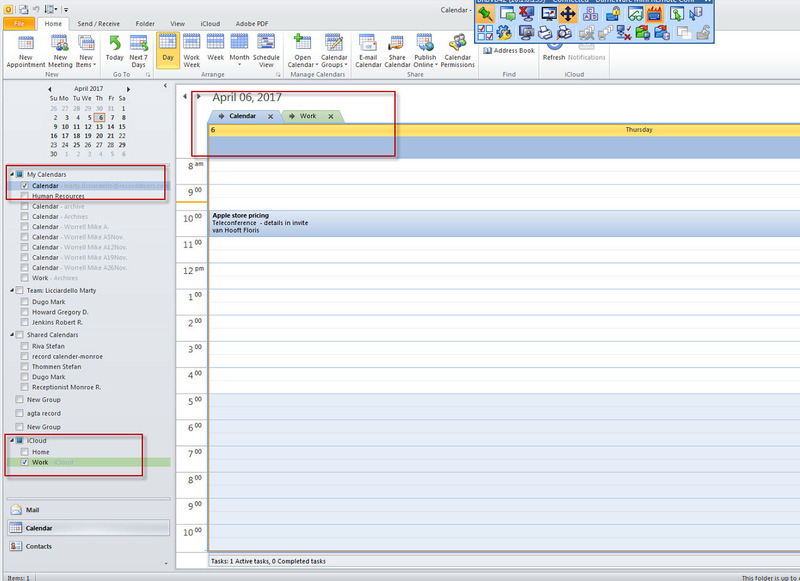 The green highlighted meeting are the icloud, but should be sync to the blue highlighted which are outlook. iCloud calendar is separate so there is no way it's going to transfer over to your work (Exchange) calendar. You can ask him when he going to set new apoitment in calendar to invite his business email address, then appointment will go to other calendar. 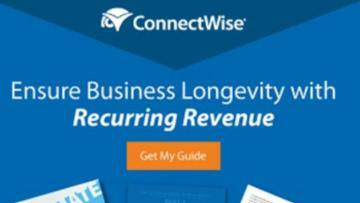 When you setting up apoitment in calendar you must click Invite attenders and put your company email address. Then send.